Industry 4.0 needs to be connected, responsive, autonomous and operator-friendly. 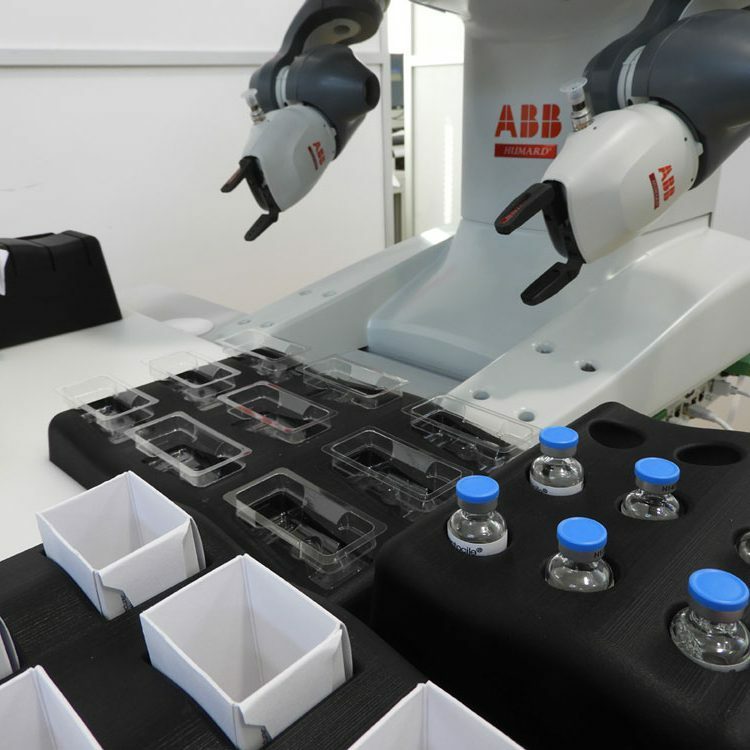 HUMARD Automation SA anticipates these changes by integrating YuMi® collaborative robots from ABB. Industry 4.0 is a revolution. 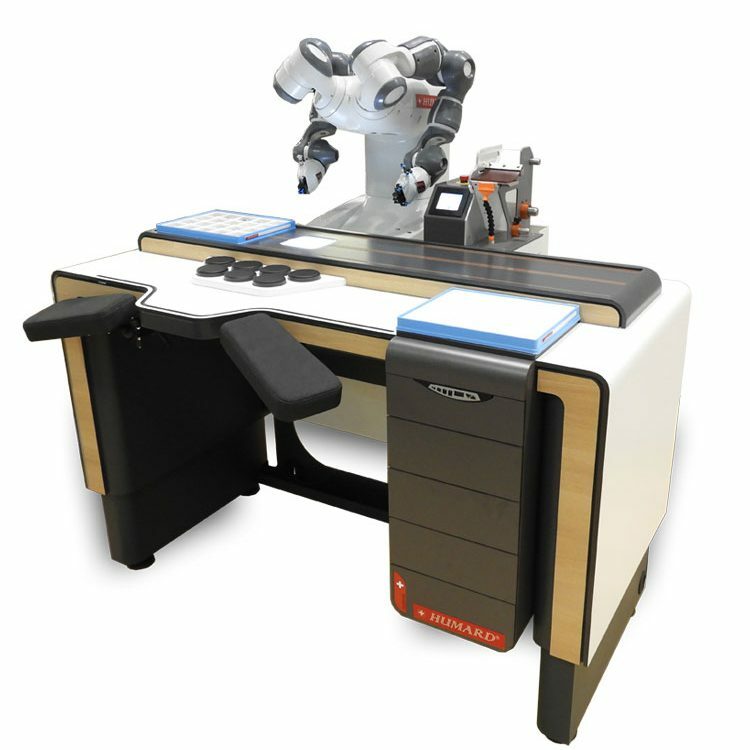 A true milestone in the industrial world, this technological development offers working autonomy and independence while helping to prevent MSDs (musculoskeletal disorders). 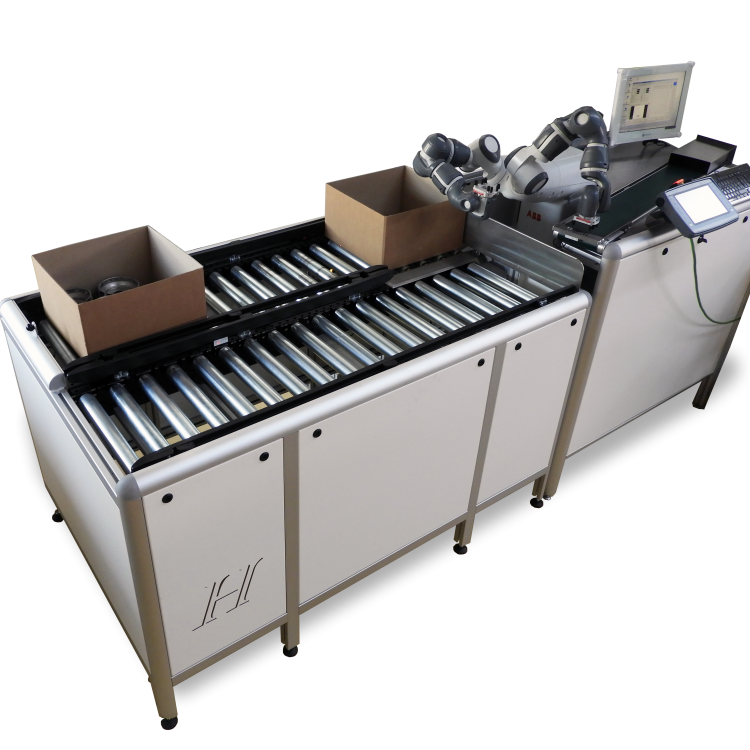 HUMARD® offers its customers high-tech, innovative solutions which allow them to be part of Industry 4.0. 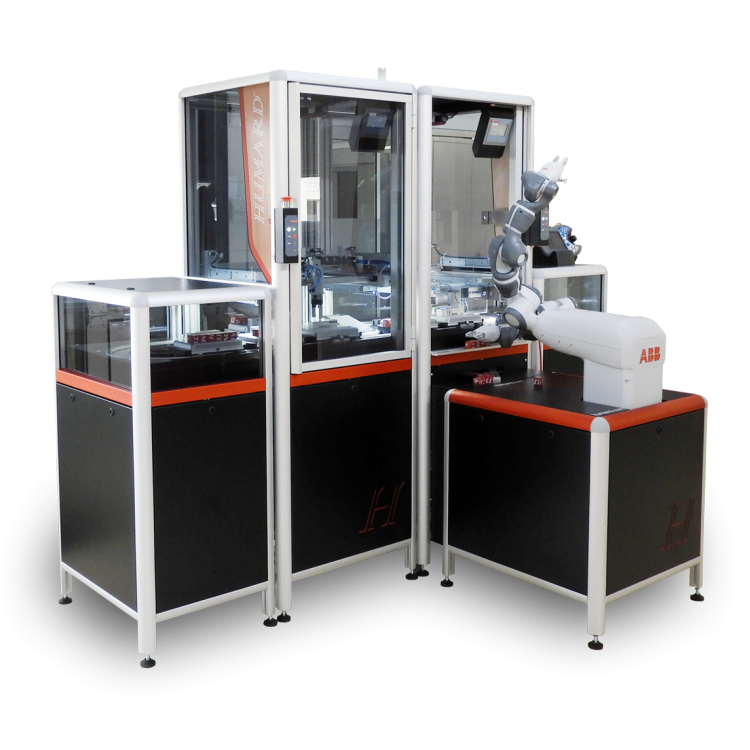 HUMARD® is the official integrator of the YuMi® collaborative robot from ABB, the world’s leading manufacturer of industrial robots. 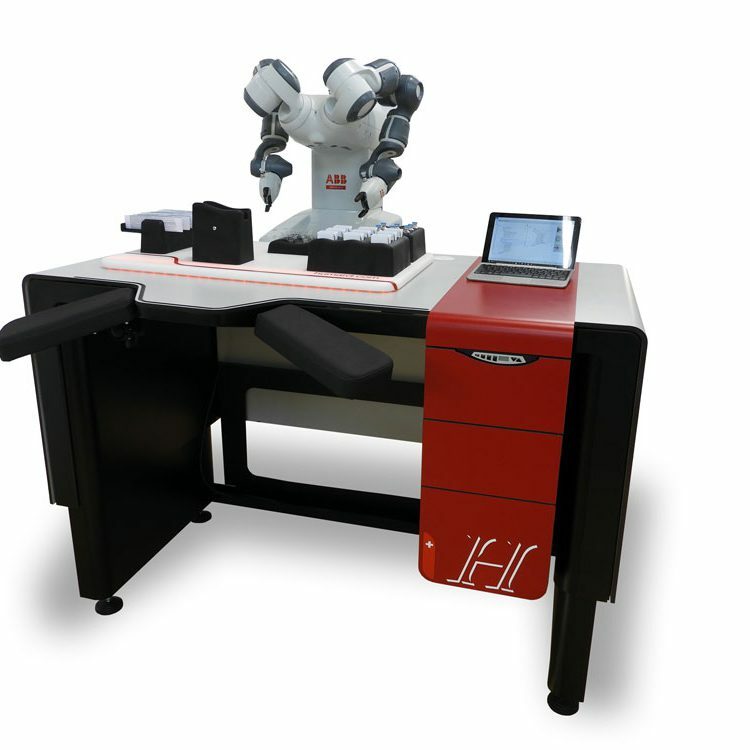 This brand new solution is the ultimate human/robot collaborative tool. Designed to evolve alongside human needs, YuMi® meets the growing demand for responsiveness while guaranteeing employee safety. This is the first robot to truly embody a collaborative concept. Thanks to its ergonomic shape and dual arms, YuMi® adapts easily to workstations designed for humans to enable it to collaborate effectively. 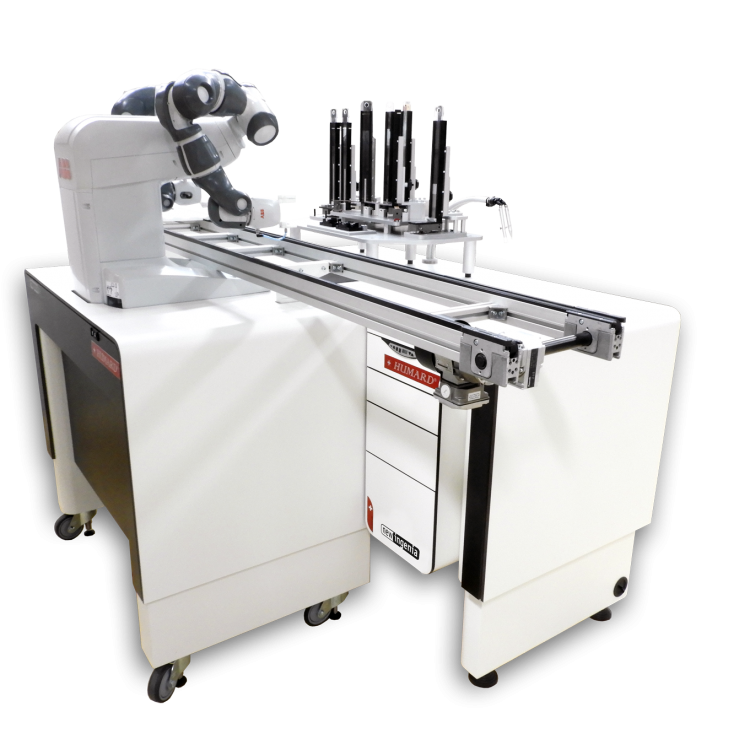 State-of-the-art technology and innovation mean YuMi® is extremely fast (maximum speed 1500 mm/s) and accurate (0.02 mm). 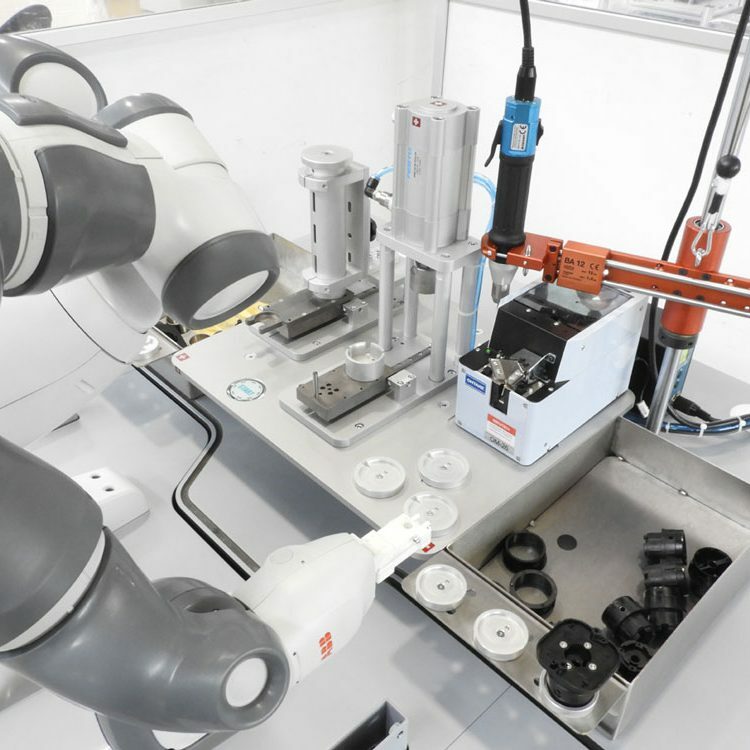 The YuMi® robot prioritises safety. If it detects the slightest change in its environment, it stops in just a few milliseconds. It has also been designed to keep employees safe. Its arm structure includes a padded casing to absorb impacts. This means YuMi® guarantees both safety and quality. 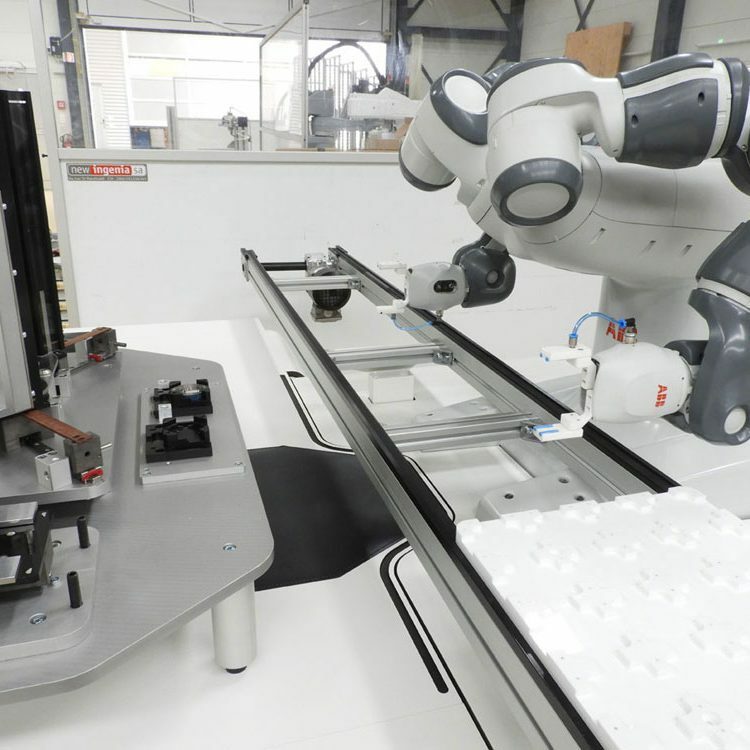 With 24/7 operating capability, this new generation robot can be used with an AGV (automated guided vehicle) system to make it fully independent and autonomous. YuMi®‘s arms each have 7 axes, enabling it to reproduce human movement. 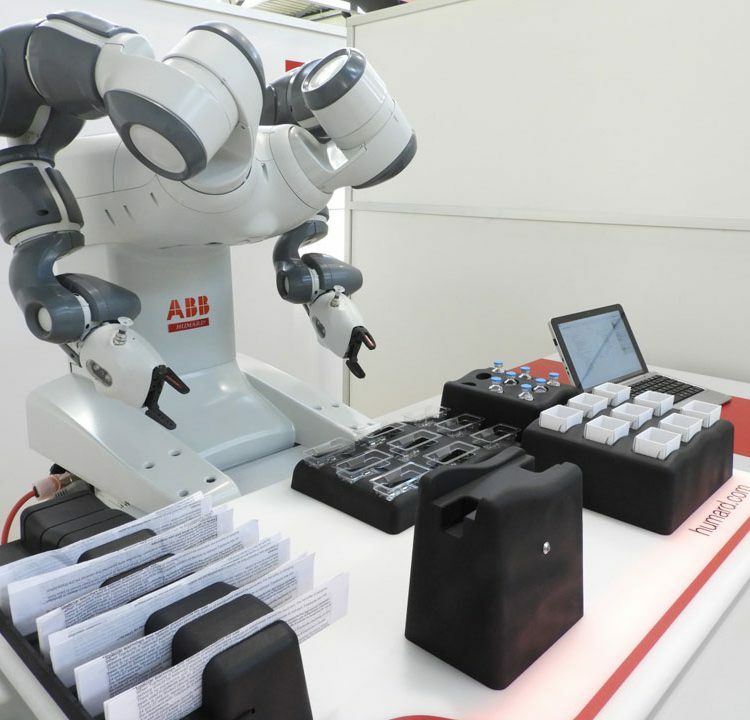 This means the robot is extremely versatile and can be adapted to a wide range of applications throughout the company. 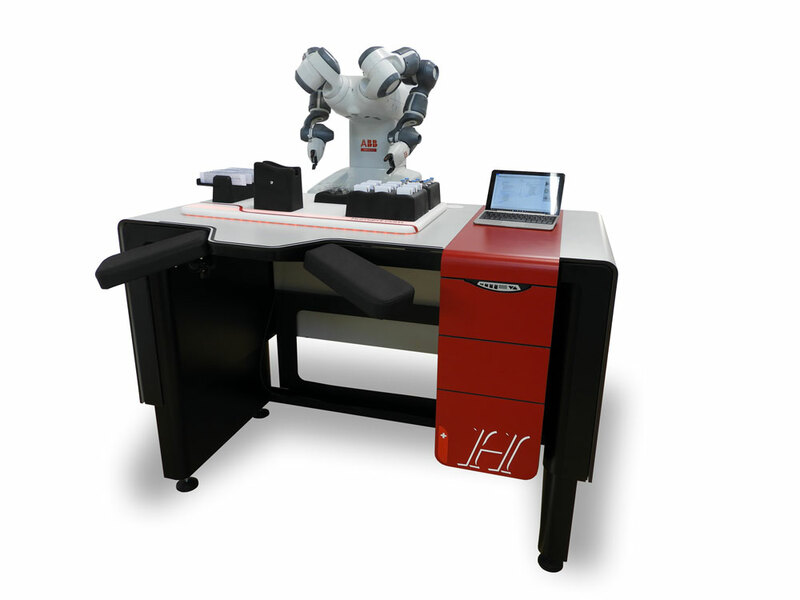 While highly independent, YuMi® remains a collaborative robot that requires a human presence.